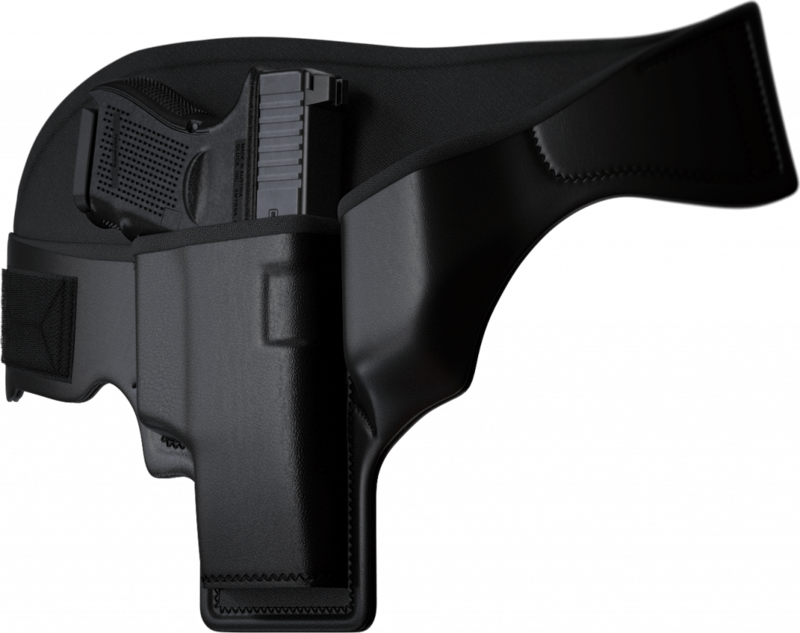 The only holster ever engineered and custom built to fit your exact body size, handgun, and spare magazine. Originally developed for and by some of the most elite in undercover law enforcement...now available for you. Our patented "Draw Cone" helps guide your hand into the proper firing grip, every time. A game changer in self defense. Click on the holster for more info. 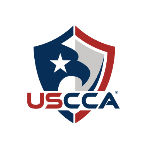 For many of our customers, concealment can be a matter of life and death. This is why 3 Speed Holster goes above and beyond. Click on the holster for more info. There are 5 major strategies used to achieve the comfort level that made this rig so popular. For us, comfort is a tactical concern. 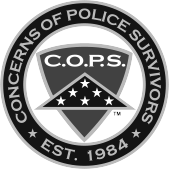 From preventing injury during non-lethal combat, to the fact that a less fatigued officer is a tactical advantage. 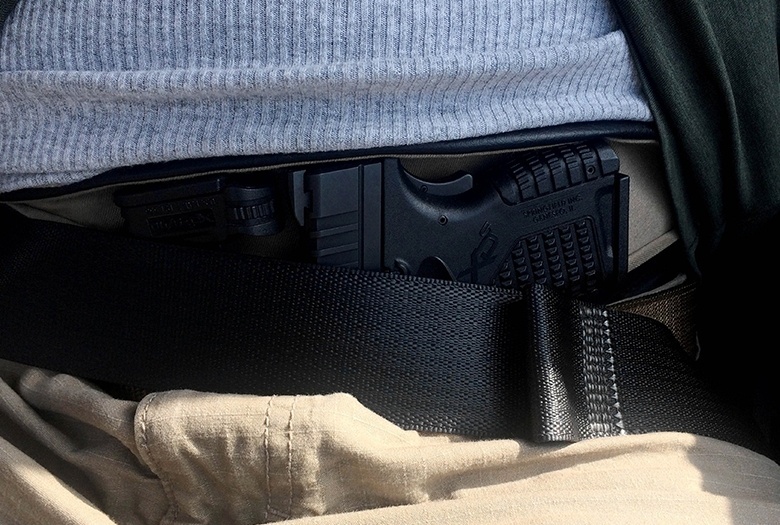 Self-defense holsters are like parachutes. When we pull that ripcord, there's no room for malfunction. From design to materials to precise craftsmanship, every detail comes together in harmony. We guarantee it! I have been in law enforcement for almost 12 years and its the best rig I have ever used. Only holster I've worn for the last 7 years. Worked as an Air Marshal. Best deep cover holster I've used and owned, and tried every holster produced in 14 years in the sky. Even my dad who knew I was armed could never spot it. Still wear it even in retirement. Unlike any holster I have ever worn. 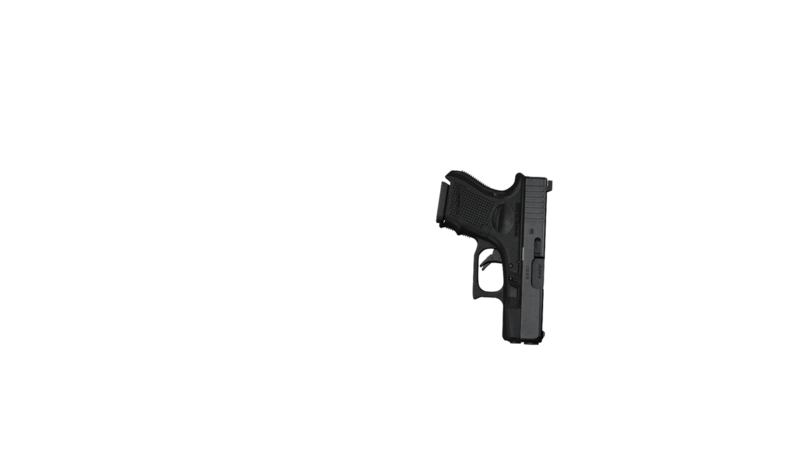 It carries, conceals, draws and returns your weapon better than any holster I have ever fielded. 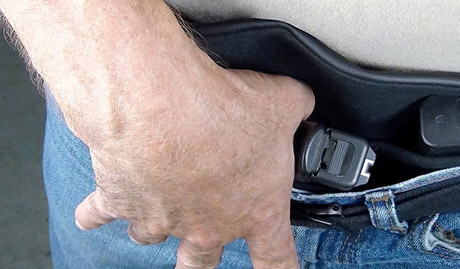 Simply put, if you're not using a 3 Speed holster, you're not using the right holster for concealed carry. I have never felt an urge to contact a company that sold me a product and thank them until now. This is the greatest piece of gear I have ever paid for and it has provided a solution to my holster problem that I have struggled with off duty for so many years. 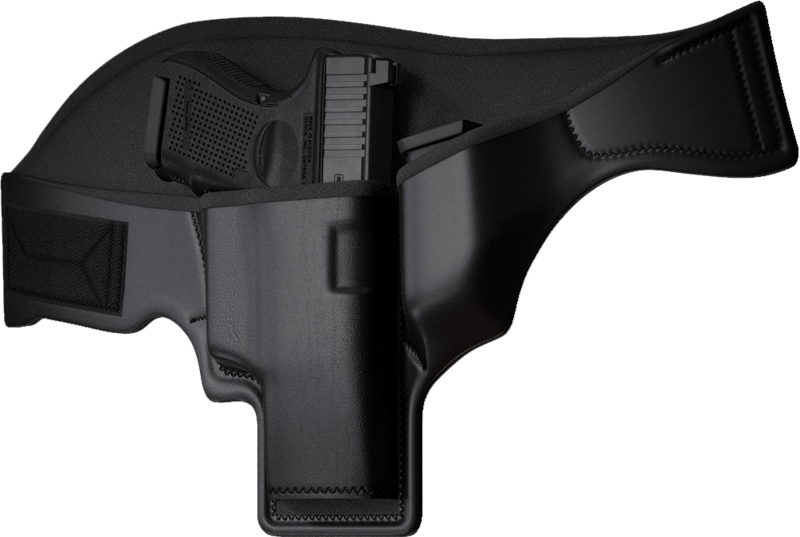 Try it for 30 days, if you don’t love this holster, simply send it back for a full, no questions asked, refund.  The 3 Speed Holster is fully warrantied against any defects in workmanship and materials. Very simple. Under no circumstances will your information be revealed to anyone. Terms & Conditions ©2011–2019 ISNG. All Rights Reserved. As your hand comes in to draw...your thumb slides down behind the gun, which causes the backplate of the holster to form into a cone. This coning effect literally funnels your thumb into the proper firing grip. It's almost like cheating. A solid purchase on your gun, with your hand in the full and proper firing position, "all done in an instant." It’s a faster, smoother, and safer way to draw, we guarantee it! There are many reasons this holster conceals so well. Below is one we're very proud of. We custom fit your specific gear to conceal on your specific body size. Using your hip measurement and the dimensions of your handgun. We enter those numbers into a formula, which tells us the exact position to mount your gun, into your holster...onto your body. This ensures everything will always lay flat and concealed. From the moment you put it on, until the end of each day. 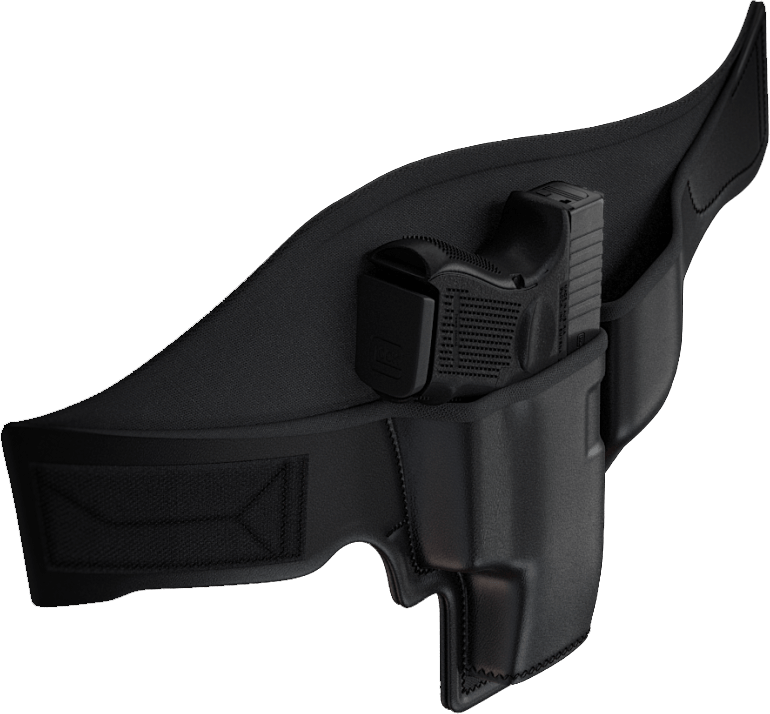 Details about how this works on our "About The Holster" page. Why Is This Thing So Comfortable? Whether you're running up to the store for milk, or on a 72 hour mission in hostile territory. Your 3 Speed is there to perform. 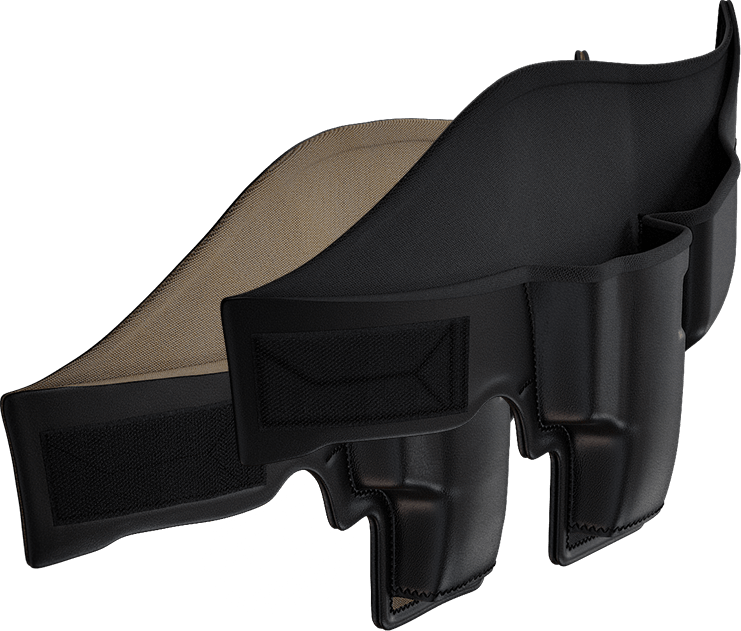 The holster we build for you has been independently engineered to fit your personal body size. It's one of the many reasons we ask for your hip measurement. The curves, angles and arches are constructed to spread weight evenly across a greater area. This enables more muscles to carry smaller/lighter portions of the load, which substantially reduces the perceived weight. The first thing you'll notice when you put on a 3 Speed, is how much lighter your gear feels! No more brick of a gun against your body...no matter what position you’re in. There's a very special layer of thin materials which keep every part of your gear comfortably against the body. This isn't just for luxury, it also serves to reduce injury in non-lethal combat. Heat and sweat channeling system. The material on the back side of the holster has a special network of tiny grooves, designed for channeling heat and sweat away. 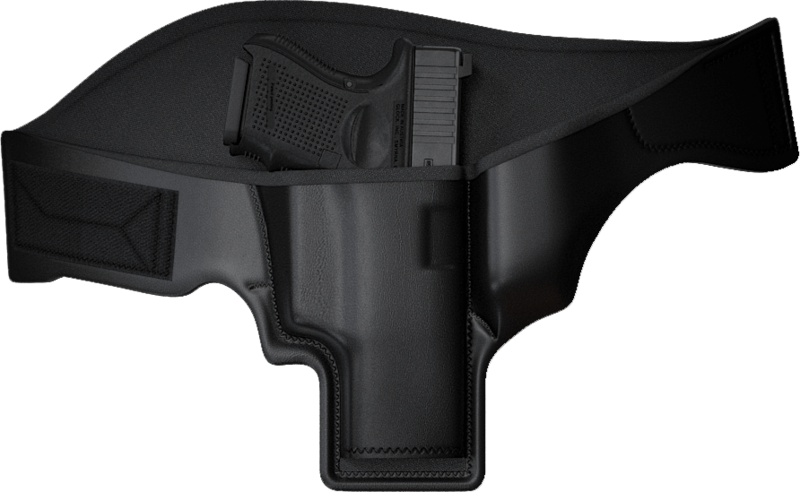 When you leave a hot environment and enter a cooler one, the holster will actually dry off...while you’re wearing it! Of course, it has all the antibacterial and mildew resistant properties we expect in this modern age. 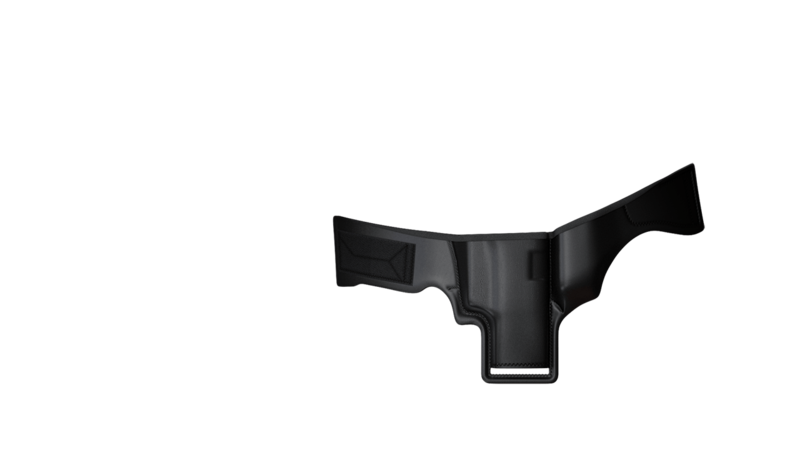 The 3 Speed Holster is extremely maneuverable, allowing us to shift holster positions with stealth and ease. 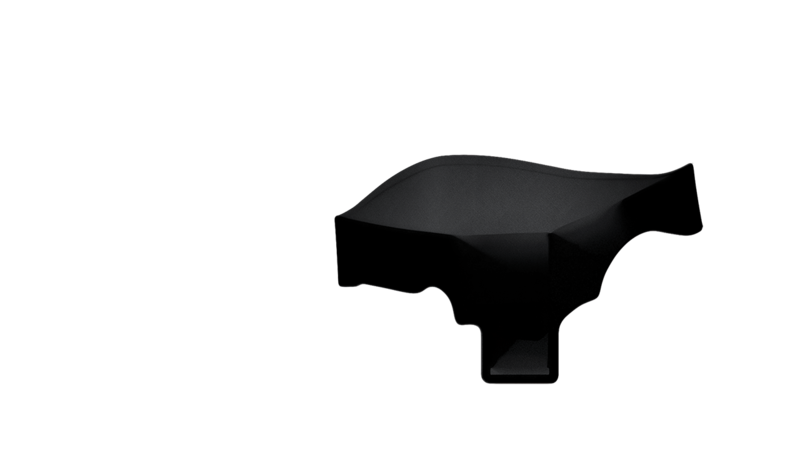 This can be utilized to suit changing levels of concealment demands, but also provides the ability to fine tune and make adjustments for our own personal comfort. Complete freedom of movement. From sitting to running, to full ground and pound combat. Nothing will ever bind or poke or pinch in any way, those days are over. This holster is literally made for you.